2018 is already off to a great start with lots of full meeting rooms, brand new members joining our space, and all of our Foundational Programs are open to registration! Are you working on a product idea but find it challenging to know if you’re on the right path? Hear from Preflight alumni members about the experience! Commit to one evening a week (just two-hours) for five weeks. Be open to validating your idea, challenging your assumptions, and moving forward quickly! 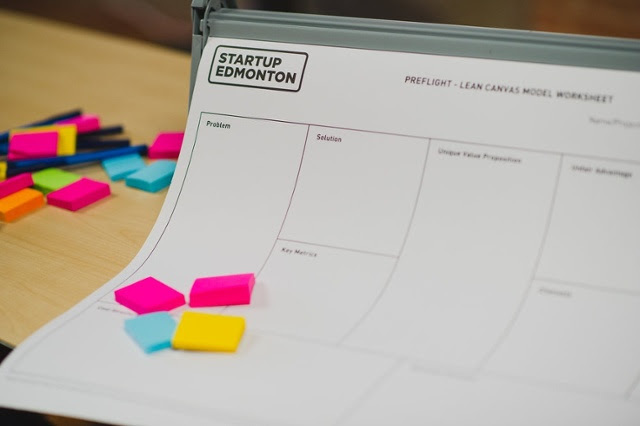 We use the lean canvas as a tool to guide you through building an amazing product or service. Why do we trust this tool? It focuses your efforts on the elements that matter the most when you're just getting started: the problem you're solving, identifying customers, and finding ways to create fantastic value. Having a great idea is just the first step in your journey, there are lots of other factors to consider - like your customers, how to reach them, and what they are willing to pay. Join us for three hours of hands-on support and feedback on your product & project idea. Product Toolkit and Startup 101 also return in January! Prototyping made easy! 90 min to a functioning web or mobile app prototype. Workshops start at just $25. Blog: How do we start being braver when it comes to ideas? "What's the biggest lesson 2017 taught you?" Steph, our Program Manager, asked as we started our planning for the year. Without hesitation, the biggest lesson from a year full of highs and lows is that our members, companies, students, and team need to be more creative, ambitious, even reckless in the types of problems they're tackling and the scale of solutions they're building. 2017 was full of travel and conversations with my colleagues across the country and around the world. The most significant takeaway from my experiences last year in cities like San Franciso, Waterloo, and New York is that early-stage teams are unapologetic when it came to how daring and unexpected their products are. Read the full article from Tiffany up on the blog. Student DevCon returns March 24, 2018! It's a chance for students to find a supportive community of peers & mentors and learn about all the incredible possibilities waiting for you after graduation. Calling all students! Join us for a full-day of workshops, panels, and one-on-one time with CTOs and Dev Teams from companies that want to meet you! It's never too early in your studies to connect directly with companies, from startups to giant global brands and everything in-between. Get intro lessons (or advanced tips and tricks) on technologies like Machine Learning, Web Dev, VR, Mobile Dev, and more. Meet students from other programs & schools. Hear from inspiring tech leaders. Past speakers include Apple, Airbnb, Amii - Alberta Machine Intelligence Institute, Jobber, Granify, Drivewyze, and SAM. Grab your $35 ticket today! To kick off our 2018 blog posts, I'm throwing it back to a fundamental skill shared by Jess Trinca, Senior Vice-President and General Manager at Darling Media, how to send a great email. 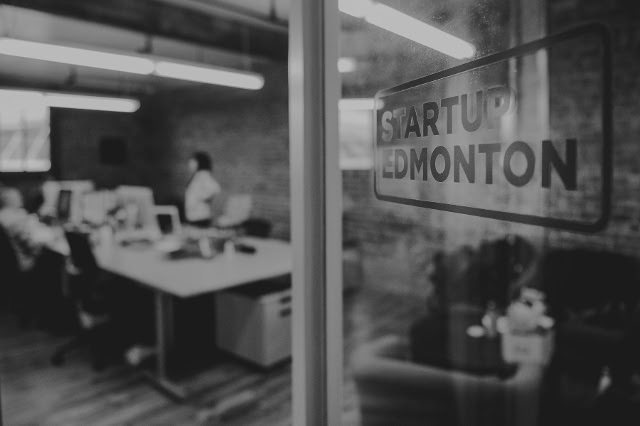 Here at Startup Edmonton, I'm constantly shifting between communications channels: email, an obscene number of Slack channels and teams, social media accounts up to my eyeballs, Skype Business Chat, Microsoft Teams, plus, the occasional face-to-face conversation with another real-life human. My favourite piece of advice from Jess is to be clear about what you want and ask for it. By following this simple rule, you always know why you're sending an email, and the recipient always knows what to do with it. I'm sure you've been on the receiving end of an email, and after reading it, you're not sure what you're supposed to do with the information. It's beyond frustrating. Building on Jess's recommendations, check out my top three tips for navigating multiple business communications channels in 2018. 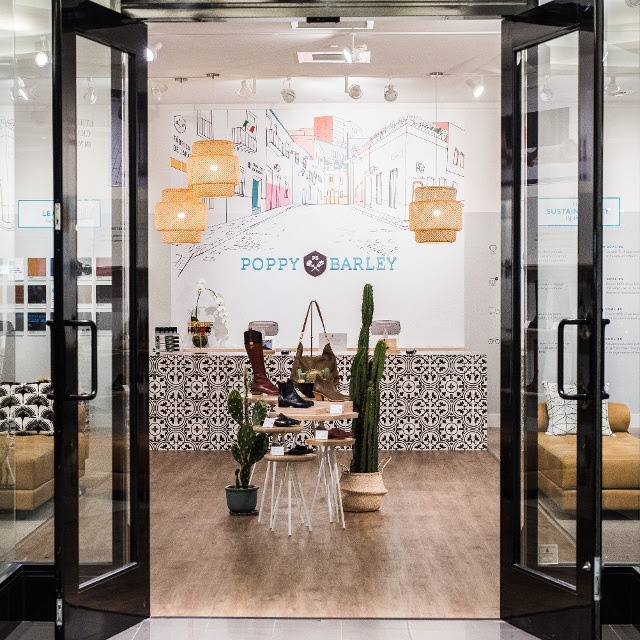 Kendall Barber published a personal note and 2018 announcement in the Poppy Barley magazine this week. Kendall beautifully shares the ways home life and work life are tied, especially for founders, female founders, and teams full of family. Thank you for sharing this part of your journey with us & the startup community. DemoCamp 39 | Are you ready to demo? January 31st! DemoCamp brings together developers, creatives, entrepreneurs and investors to share what they’ve been working on and to find others in the community interested in similar topics. For presenters, it’s a great way to get feedback on what you’re building from peers and the community, all in an informal setting. Started back in 2008, DemoCamp Edmonton has steadily grown into one of the largest in the country, with over 200 people attending each event. The rules for DemoCamp are simple: 7 minutes to demo real, working products, followed by a few minutes for questions, and no slides allowed. Time: 6:30 pm doors open, 6:45 pm program starts. Older PostSo, how do we start being braver when it comes to ideas?